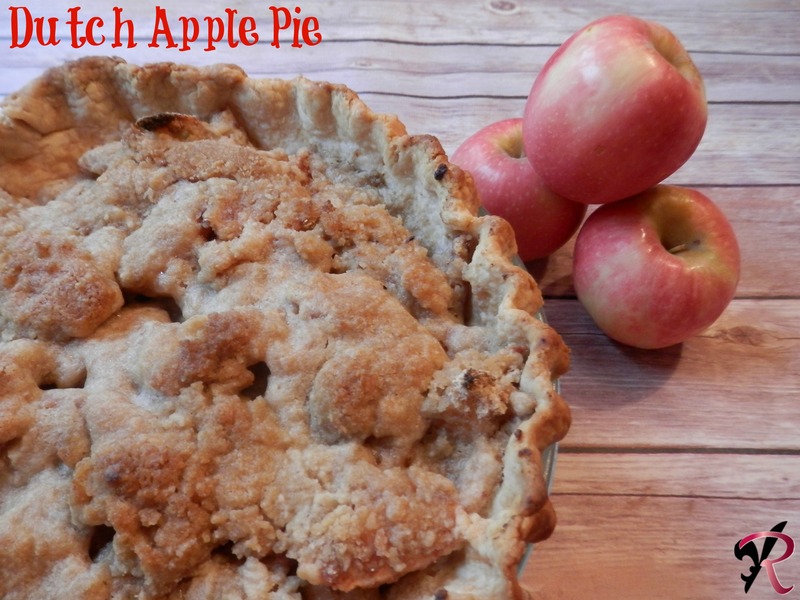 This is our family’s favorite type of pie, Dutch apple. It is on our table every Thanksgiving. In a large mixing bowl, mix flour and salt. Place shortening in bowl, using a pastry blender, in an up and down motion mix until it looks like pea sized crumbs. Sprinkle in 3 tablespoons cold water over the flour mixture. Using a fork distribute the water evenly into the flour. Press the chunks to the bottom of bowl with fork, add more water by the tablespoon until dough is held together when pressed. Shape dough into a ball then make a disc shape. ROLL dough from center outward with steady pressure on a lightly floured work surface into a circle 2-inches wider than pie plate for the bottom crust. Transfer dough to pie plate by loosely rolling around rolling pin. Center the rolling pin over the pie plate, and then unroll, easing dough into pie plate. Trim edges of dough leaving a 3/4-inch overhang. Fold edge under. Flute dough as desired. Poke the sides and bottom of crust with a fork. In a large bowl add sliced apples and the rest of ingredients listed, mix well, taste and add more sugar or cinnamon as needed. Place the apple mix gently in the crust. PRE-HEAT OVEN NOW TO 425 DEGREES. Place pie pan on a cookie sheet, and bake 40 minutes, after the pie bakes for 40 minutes, add foil on top so it does not burn and bake an additional 10 minutes. Reagan and Aunt Kiki are at it again!!! Reagan’s mother Judge Guillotine Gloria was running in an election with some not so nice candidates. 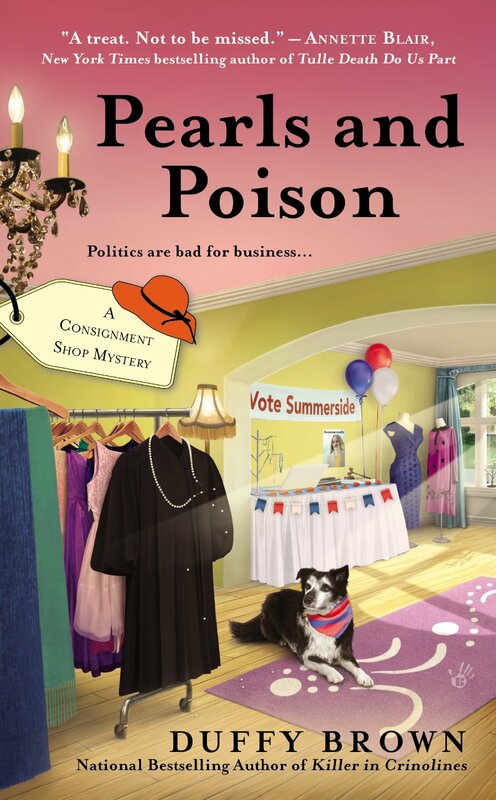 No one is very fond of her competition Kip Seymour, but when he is found dead all fingers point to Gloria. In true Reagan & Kiki fashion the pair are out to find the real killer and clear Gloria’s good name. I have enjoyed the series from book one. I am excited to see relationships forming through the series and glad to see some back in this installment. I am a big fan of the dog BW and hope to see him with parent living together real soon!! A great read I highly recommend you read in order You won’t want to miss any of the exciting things these characters are up to .